2019 is the year of ‘drinking better’ and by that, we don’t just mean what you choose to drink, but how you choose to drink it. It’s a well-known fact that different drinks taste better in different glasses and getting that choice right will enable you to fully enhance your drinking experience. And as much as it is a personal preference, there is also some science behind it. However, with so many different styles available and so many people offering alternative drinkware solutions, it can be overwhelming to know where to start. So, we’re giving you the inside knowledge on glassware to help ensure you get the best flavours and drinking experience from your favourite tipple. There is a subtle art to everything we do here at Dartington Crystal. From the intricate details of our personalised engraving service to the exquisite quality of our drinkware collections. Every collection has been meticulously designed to suit and enhance the notes and flavours of your chosen drink. Perhaps the most deceptively overwhelming collection of glassware is the wine collection. You don’t need to worry about rushing out to buy a different glass shape for every type of wine, but you do need to remember that a key factor in getting the most out of your wine, (whatever colour takes your fancy) is the size of the bowl. As a rule of thumb, red wines benefit from a larger bowl to allow the wine to breathe and release the bolder and more complex flavours. 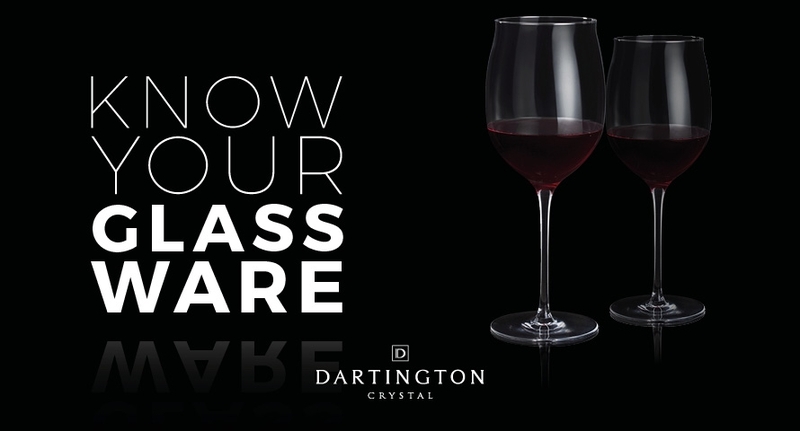 Our Wine Master Merlot Red Wine Glasses is a perfect option for your reds, allowing you to swirl, sip and enjoy. 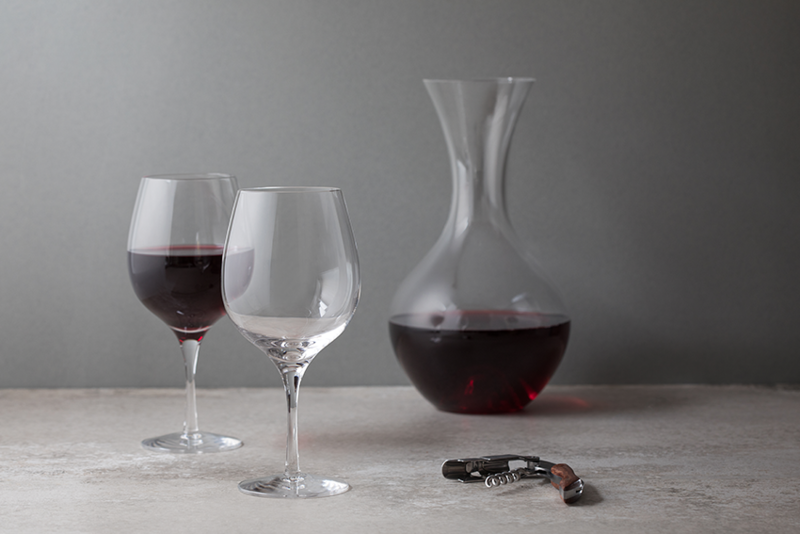 It’s also worth considering the slightly more modern Stemless red wine glass, practical yet finely crafted, this range is proving to be a popular choice for both red and white wines. 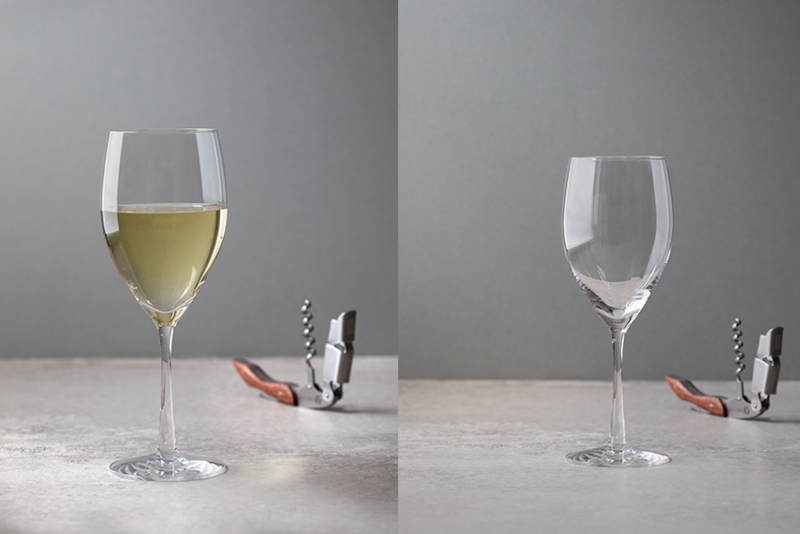 The Wine & Bar White Wine Pair has a smaller bowl to complement the light, delicate aromas of whites and rosés, although these can still be enjoyed from a larger glass if you prefer. There is much debate surrounding the origins of champagne (or, sparkling white wine as it’s also known). The French will maintain it was invented in 1697 by monk Dom Perignon. However, a more recent discovery suggests it may be much closer to home, the Cotswold town of Winchcombe in fact! Scientist Christopher Merrett claimed to invent English Sparkling wine as early as 1662. Regardless of its true origins, one thing that has never faltered is the enduring popularity. It is the original drink of celebration, synonymous with clinking glasses and heartfelt toasts and enjoyed from champagne flutes, named due to their slender, elegant design. The beautiful design doesn’t just enhance the sense of occasion and the taste but also preserves the bubbles – after all, there’s nothing worse than flat fizz. The Wine Master Flute Champagne Glass allows you to experience the taste and aroma instantly and authentically. Originating from Italy, the tulip-shaped design of an authentic prosecco glass works in a similar way to a champagne flute. Slightly wider and shorter than a traditional flute, the shape further accentuates the flavours of prosecco whilst still preserving those all-important bubbles. 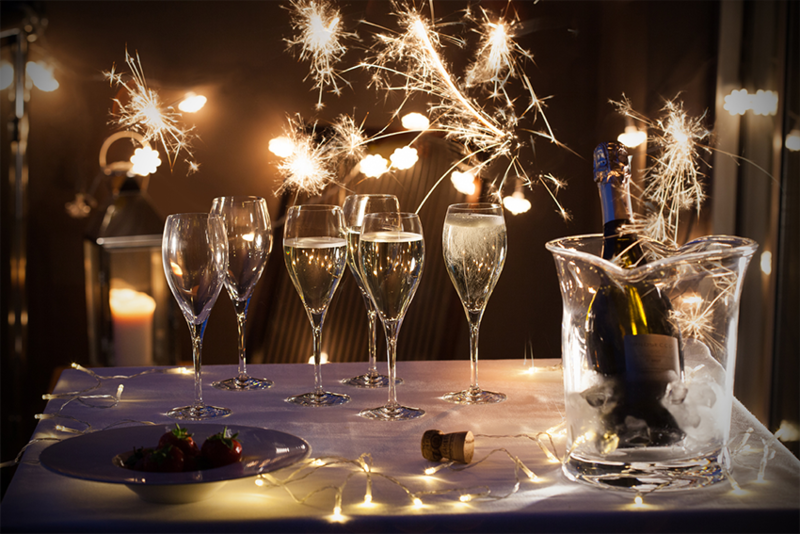 If you’re looking to impress party guests, then our Prosecco Party Pack is the perfect way to start your collection. You may like to enjoy a well-deserved glass to yourself, for which our Just The One Prosecco glass is a must-have for any prosecco lover. The smallest sized glass derived from the wine family. The alcohol content of dessert and fortified wine is considerably stronger than that of red or white so a smaller serving is normally offered. The small glass also helps to concentrate the sweeter flavours without it being overpowered by the alcohol content. The Chateauneuf Sherry Glass is a fantastic all rounder if you are looking for versatility in your collection. 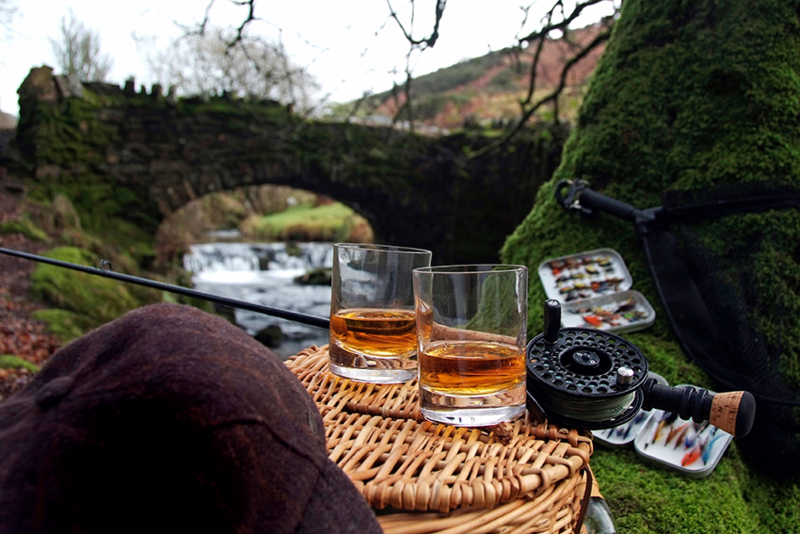 When it comes to enjoying whisky, everyone has their own personal preference. Whether it’s mixed, neat or on the rocks, be sure to select the perfect glass to enhance your favourite tipple. Starting with an old classic, the Tumbler is arguably one of the most popular choices. Versatile and timeless, it is the go-to for on the rocks or an old fashioned. The heavy base of ranges such as the Exmoor and Dimple ensures the glass isn’t damaged during mixing, whilst the thinner glass sides allow you really taste the flavours of your favourite dram. The epitome of whisky class can be found with the Whisky Snifter, featuring a wide bottom that fits easily in the hand, perfect for warming, swirling and releasing flavours. The narrower top then directs the smell straight to the nose. 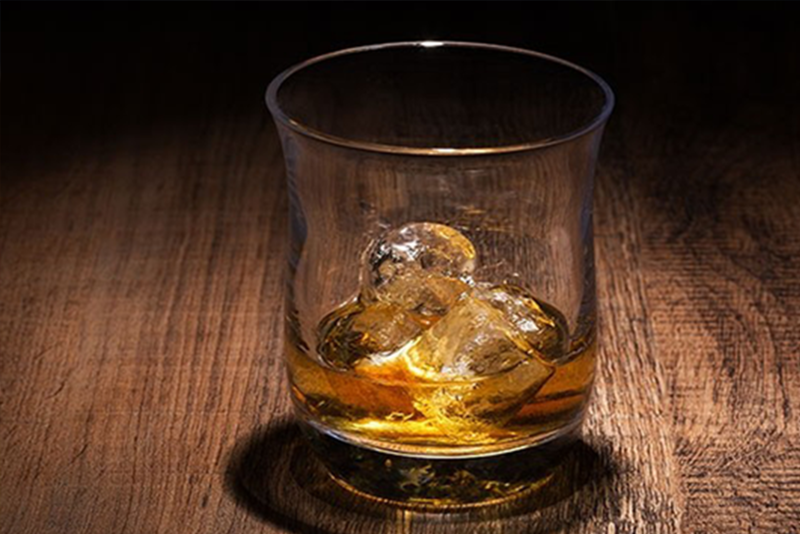 The Connoisseur Whisky Glass creates an incredibly refined experience. The flared lip of the glass directs the harsher vapours away from the nose, leaving nothing but pleasant aromas for you to appreciate as you drink. 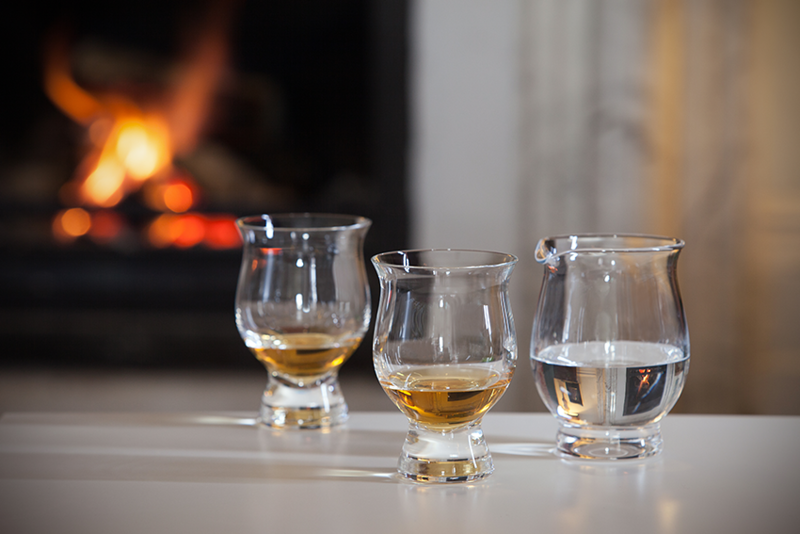 As vast as the whisky ranges on the market, our collection of whisky glasses have something to suit everyone depending on their tipple of choice. The popularity of gin has skyrocketed over the past couple of years and with the gin market bursting with endless combinations and flavours, it can be difficult to know which glass would really suit your creations. A Copa glass from either the Bar Excellence or Wine & Bar collection is the perfect glass to create your delectable concoction. A large bowl allows flavours to release and mix, wonderful if you’re adding fresh fruit and extracts. 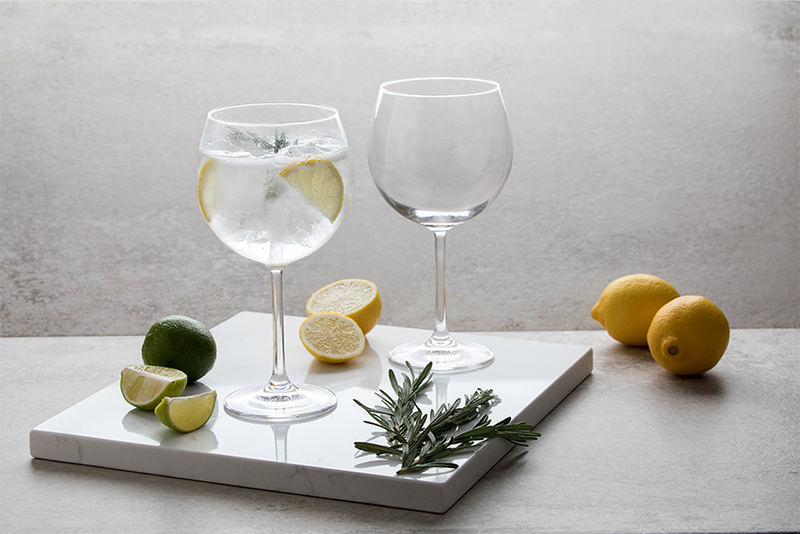 If, however, nothing takes your fancy quite like a traditional Gin and Tonic then a highball glass such as the Dimple or the Exmoor are versatile options for serving long drinks and mixers, the straight sides deliver the flavours straight to your pallet. If you are after something a bit different from your gin drinking experience, how about our Gin Connoisseur Copa? Hot on its heels, rum looks as though it may be set to steal the show this year. The rich flavours are best enjoyed from a glass such as The Rumbler, a crystal tumbler designed with a wide rim that allows you to enjoy the rich aromas before tasting. Its larger size also allows for a generous helping of both spirit, ice and/or mixer. If, like many, you’re new to the rum trend, then purchasing The Rumbler will grant you access to an exclusive free membership offer to The Rum Club to help you pick up some hints and tips for the coming year! Perhaps the most overlooked of all is the beer glass. 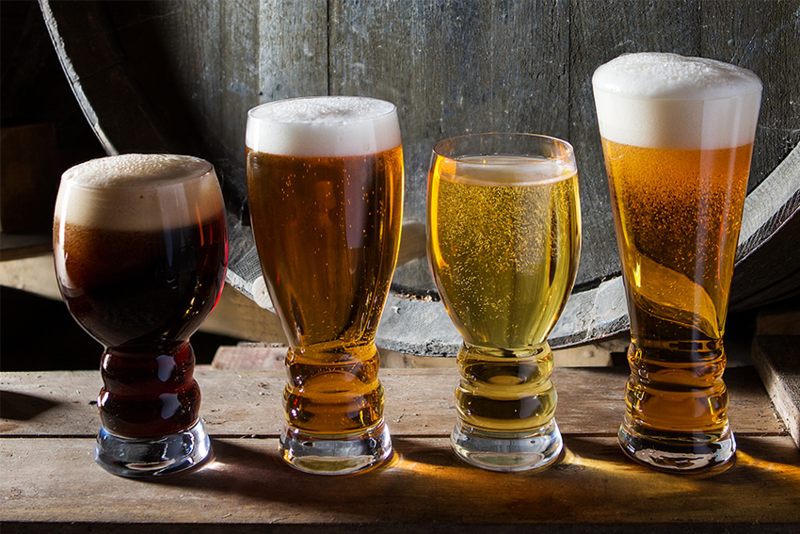 It’s easy to think that all beers should be served in your standard pub pint glass but a lot of effort and expertise goes into craft and premium beers and they deserve a glass style that’s as well thought out and as complimentary to the flavours and aromas as your wine glasses or champagne flutes. Avoid drinking your high-quality beer from the bottle and choose a glass specially designed for it. A strong stout deserves a strong glass and our Brew Craft Stout and Strong glass is exactly that, the ribbed base makes it easy to handle whilst the wide bowl at the top lets you swirl and appreciate the rich aromas. Light, bitter ales and IPA’s benefit from a slight tulip shaped glass, helping the aromas to release but keeping a light, creamy head. 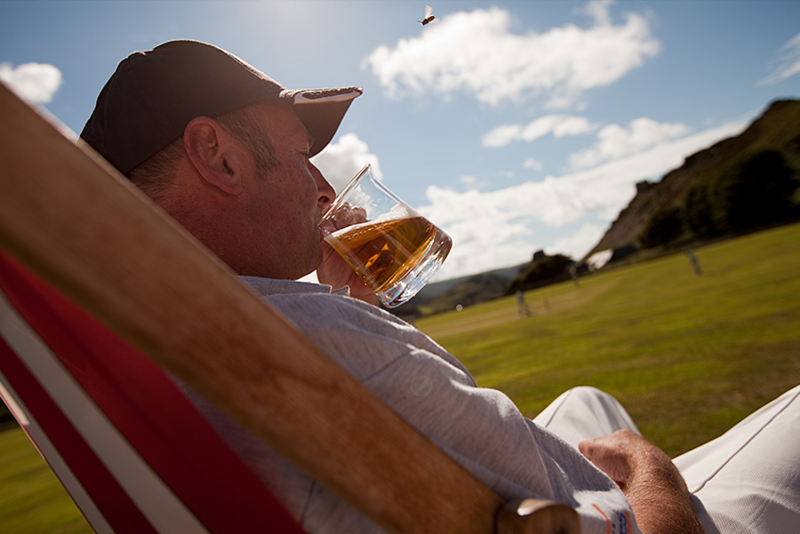 The Real Ale Tankard is the perfect glass to use when indulging in your favourite ale and the Home Bar Beer set helps you provide a fantastic drinking experience for family and friends. If you’re looking to start, expand or finish your glassware collection, or simply want to improve the experience of just one of your favourite tipples, our Guide to Glassware can help you do just that. Make 2019 your year of ‘drinking better’ but remember, you needn’t spend a fortune just a few carefully chosen pieces can dramatically enhance your drinking experience. Once you’ve bought your glassware you’ll want to ensure it stays in tip-top condition, check out our blog post on The Do’s and Don’ts of Glassware Care to help you keep making the most out of your pieces. Don't forget to share your Dartington Crystal photos with us on Instagram! Use the hashtag #MyDartington for the chance to have your photos featured on our feed!